As Musky sticks to his story…we find one with him in it. 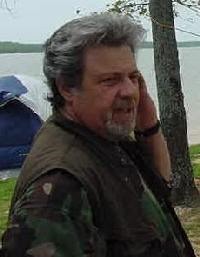 As our old pal Allen F. Issleb aka “Musky Allen” continues to stand by his story of seeing a “real” bigfoot ala “Hank,” despite the dummy looking nothing like Issleb’s description, we came across a comment on Robert Lindsay’s Blog, which was deleted some forty minutes later, after Robert felt it was defamatory against Issleb. As far as FBFB is concerned, we must remember that RL’s sources have been extremely off their mark concerning Dyer. In fact I will speak with reps of FBFB today to see if there will corroborate RL’s claim that FBFB is now sponsoring Dummy boy. 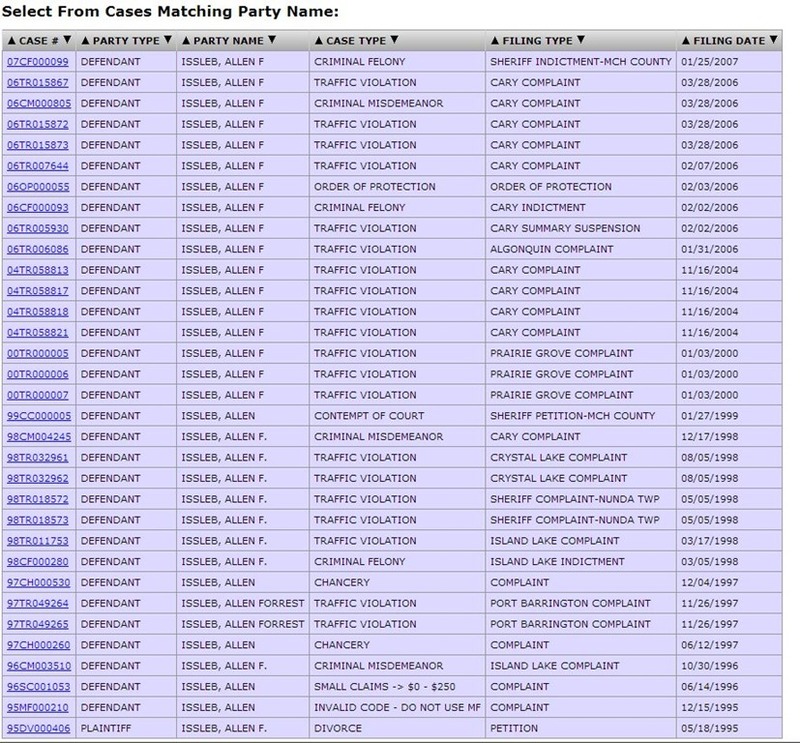 Back to Issleb…In truth the Illinois Attorney General did in fact sue ole Musky for allegedly bilking $13K out of customers from his company, AFI Construction based out of Island Lake, Illinois. of course we know Musky had some brushes with the law back in 1997. Remember Musky Allen IS Allen Issleb, not Redman or anything else. One of my long time idols Peter Byrne has had a run in with the law at age 88, in what authorities had claimed a 20 year long theft of benefits from SSI and Medicaid. PORTLAND, Ore. – A former resident of Pacific City was sentenced in federal court on December 3, 2013, for stealing more than $78,000 from the Social Security Administration (SSA), the Oregon Department of Human Services (DHS), and Medicaid. Peter C. Byrne, 88, was sentenced to a three year term of probation and required to pay full restitution by the end of the week. Byrne pleaded guilty in August and admitted that between 1992 and 2012 he concealed from SSA and DHS his travels outside the United States and his compensation, while receiving Supplemental Security Income (SSI) and food stamps. Byrne had previously deposited $25,000 with the court for restitution and indicated he was prepared to pay the full balance by the end of the day. According to documents filed by the government and Byrne’s admissions, Byrne began receiving SSI, a need-based benefit, in 1990 and was required to report to SSA certain travel outside the United States as well as his income and compensation. 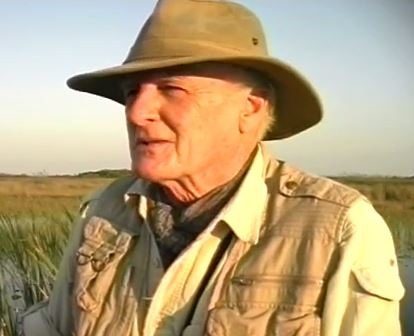 Between 1992 and 2012, Byrne traveled outside the U.S. for more than 30 days at least 15 times, on some occasions remaining outside the U.S. for more than four months. Between 2009 and 2012, Byrne also maintained bank accounts with Barclays of England and Wells Fargo where he held more than $85,000 at one time, and failed to disclose these bank accounts to SSA and DHS. When Byrne was questioned by SSA and investigators in 2012, he failed to disclose all of his travels and assets. When SSA asked to see his passport, Byrne advised that he had accidentally destroyed his passport by running it through the washing machine. Investigators subsequently served a search warrant at Byrne’s residence and located financial and travel records, and his Will. Byrne urged that the Will be kept confidential because he feared the Social Security Administration would come after his estate for benefits he unlawfully received. Agents also located a copy of a letter from Byrne to Safari Press directing that any future royalties for his published books be sent to his girlfriend. Byrne had previously been questioned by investigators whether he was receiving royalties for the books he had written on topics such as his search for Bigfoot and game-hunting in Nepal. Byrne denied receiving royalties. Prosecutors also noted that in the 1990s, Byrne had two previous overpayments of SSI because of unreported travel and assets. Those prior overpayments had been handled administratively by SSA. The Honorable Garr M. King stated that Byrne’s actions had been intentional and criminal, but agreed with the parties’ recommended sentence of probation primarily because of Byrne’s age. The case was investigated by the Social Security Administration Office of Inspector General, Office of Investigations, the U.S. Department of Health and Human Services, the Oregon Department of Human Services, and the Tillamook County Sheriff’s Office, and was prosecuted by Special Assistant United States Attorney Helen L. Cooper, as part of a partnership venture between the Social Security Administration Office of General Counsel and the United States Attorney’s Office in Portland. Thanks to Pam Farley for the heads up. What this does to this man’s integrity? Well only time will speak of such. The DOJ’s report is pretty condemning, but considering the amount and the time span, it amounts to about $325 a month in benefits that he was getting that he wasn’t supposed to. But also consider he coughed up $78K in a week to pay restitution. I think I need a few days to process this one before it makes any sense. Steak, Boots, DNA and the Men in Black. Being steeped in reality is what we all need to be sometimes. Sometimes we need to listen to the “old timers,” and put ego aside, self included. Sometimes we even stop being fair, or nice and become investigators. Verify. 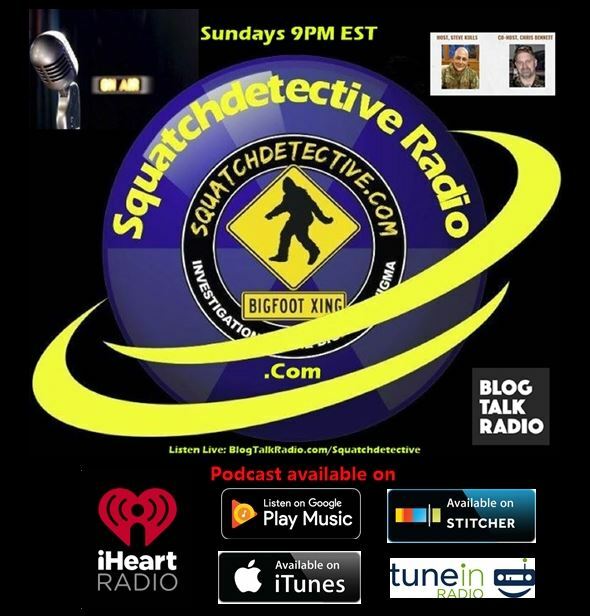 This week we’ve had some major developments in Bigfoot body cases, the first via Dr. Brian Sykes, NatGeo Channel concerning the alleged Sierra Kills shooter Justin Smeja. Turns out everything is bear or nothing…the steak (which we knew from other DNA tests) and of course now the bloody boot which turned up no useable DNA. Hence no Squatch. All we have is a video via a FLIR device by veteran researcher Bart Cutino that may or may not substantiate Sasquatch activity in the area the kill had allegedly occurred. Still I must say that at least in those cases physical evidence was turned over to scientists for analysis, giving me the leeway to at least stay on the fence and have some hope. But, as a friend said to me the other day, “Hope is for suckers.” Show me something concrete. Unfortunately, or maybe fortunately, the Sierra Kills now becomes that of Bigfoot Legend and Lore and much debate for the future generations of those who want to mix it up and fight over the topic, the same as the Ketchum Study, the PG Film, The Massacre Debate and so on and so forth. 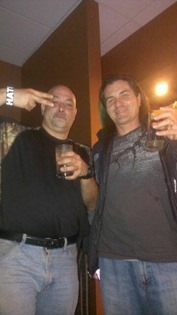 MiB’s and Rick Dyer… AGAIN! It should come as no surprise that a person so angered over the Sierra Kill has been one Rick Dyer. See many folks think that the major motivation was money. Wrong, not at first. It is no coincidence that He really started making the rounds again right after the announcement of the Sierra Kill. He publicly called Smeja a hoaxer, but claimed himself to be truthful. 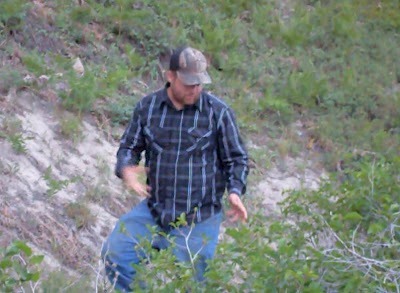 I mean how can you be the “Best Bigfoot Tracker in the World,” if someone else brought one down or in before you? Let’s not forget, just how angry Dyer was with the old Team Tazer. He bought all the domain names he could with the name Team Tazer. Then he tries to call out his enemies, when one or more (me) calls him out and actually goes to Los Angeles, he tries in vain to hurt me by attempting me to spend hundreds of dollars on a cab ride, which he claimed he would pay. Luckily it did not work out that way. 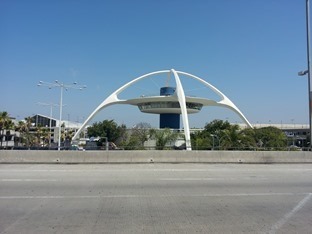 Click here to read about the LA trip. 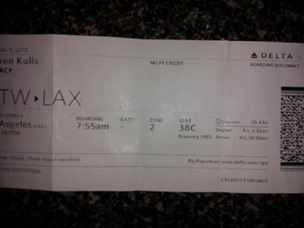 (From Left to Right) Plane Tic to LAX, LAX and the “No Show Party!” with Bugs Mitchell. Then doesn’t show. Claims a great victory, leaving many of his followers stunned and saying, “What the ^&#*@?” The next day all but a small handful of his followers are left. In following weeks, more jump ship. The Ketchum Study build up was at it’s peak as well. That became a bust for most over the course of the last year, as it has not been accepted by science. Now that the Sierra Kill DNA is bear, and the Syke’s Study has made no significant Bigfoot breakthrough, it does not surprise me, in the least, that Dyer has bowed out and has been leading up to this since coincidentally with the announcement of the NatGeo show that would reveal the samples authenticity or not. 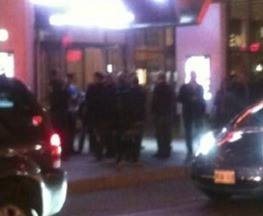 (Left) HotDocs in Toronto in April..decent turnout. 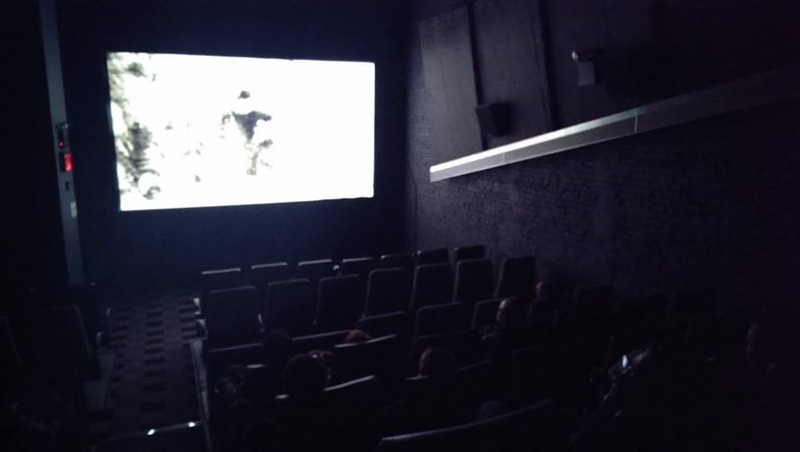 (Right: Courtesy of Joe Mastroianni) the NY showing in November and post the calling Dyer’s bluff in LA in August… theater very empty. MiB’s took his Bigfoot. Zero for originality, as he used that excuse in 2011 already. Sounds like someone is “selling their cabbages twice,” as my father used to say. However, I don’t think for one second, this is the last of seeing Rick Dyer. Unless the Feds get him this time. Dyer’s website as of this morning has this message. Gone are the memberships, he was once selling. well there is something teachable in everything here. Especially when they have a track record of it, making grandiose claims not attempting to support it with any evidence. Or the evidence upon closer inspection is doctored or misrepresented. All, in my opinion seem to suffer some sort of defect, making up lies about people to further their cause or make them sound like the victim. There is a commonality about all of them. 2. The Unfortunate Part: Some people are naïve, even if they are super intelligent. And sometimes play into the hoaxer’s plan. 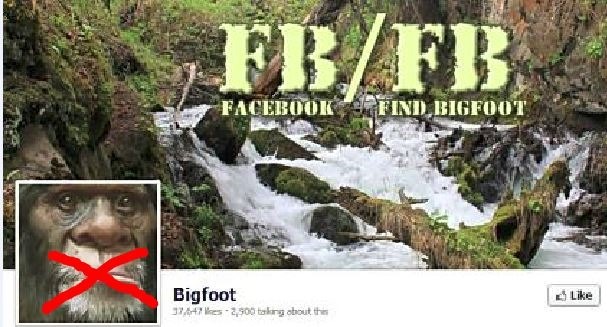 Some of the more notable willing victims, Vermont researcher Chris Noel, and the Facebook FindBigfoot Team, who still had trouble coming to grips with the truth even after L.A.
Doesn’t make them evil, just makes them unreliable if they don’t change their methodology and trains of thought. I hope for their sake they do. I don’t like seeing anyone fail that had only good intentions and their mistake was believing in Dyer. Unfortunately one of those human qualities is pride and ego. 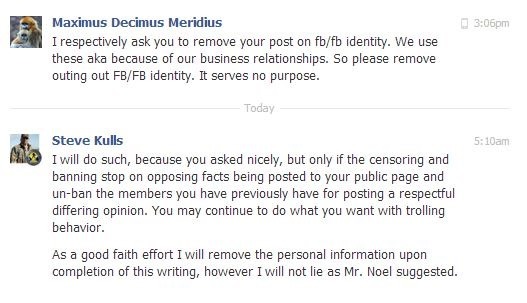 Facebook FindBigfoot did make the statement of getting out of the game if this turned sour. And it did. So it is hard to say what the future holds for them. If they back out on it, will the world hold them to their feet to the fire like I did Linda Newton-Perry two years ago? Difference there is Perry wasn’t a victim, she was the source of all the hoaxes on her site. FB/FB were approached by Dyer and believed him. The Issleb involvement cemented their belief. So can we forgive them? I think so, but only if their work going forward is a little more objective. They need to learn to listen to those who are in the know. Example: I wrote a book on this Dyer guy as well as a few of his co-conspirators from 2008 since I was at ground zero…and they ignored everything I said for a majority of the time about the truth of this man… they were his victims. And as true to life, some victims start off by being willing victims. Too important of a lesson should be learned here by the the majority of the researchers that were naïve to believe in Dyer’s lies, were that they were only in research post Body Hoax 2008. They wanted to give Dyer a pass on his previous actions. For some reason they forgot all his other lies between then and now, like another body, oh and the how the MiB’s got that one too. But for the Naïve: Don’t want to believe me? Proceed at your own risk. We can let go of the parties responsible and ignore them. But we should never forget them. To forget them, we would end up forgetting the lesson. And we as a race, do that all too often. So it actually looks like we might start off 2014 with new business instead of all this unresolved stuff like Ketchum, Sykes, Smeja, Dyer, Smith… etc. Will the real Musky Allen stand up? Since Musky likes to spread lies, and claim I am lying, (though I provide PROOF I am not in my posts with traceable links) let’s look at the real “Musky Allen” aka Allen Forest Issleb. Now if Musky want’s to keep up his internet harassment including a site which has posted a death threat, maybe I will find and see if he has a P.O. and report such harassment. After all the felon has already been convicted once of telephonic harassment, among other things.